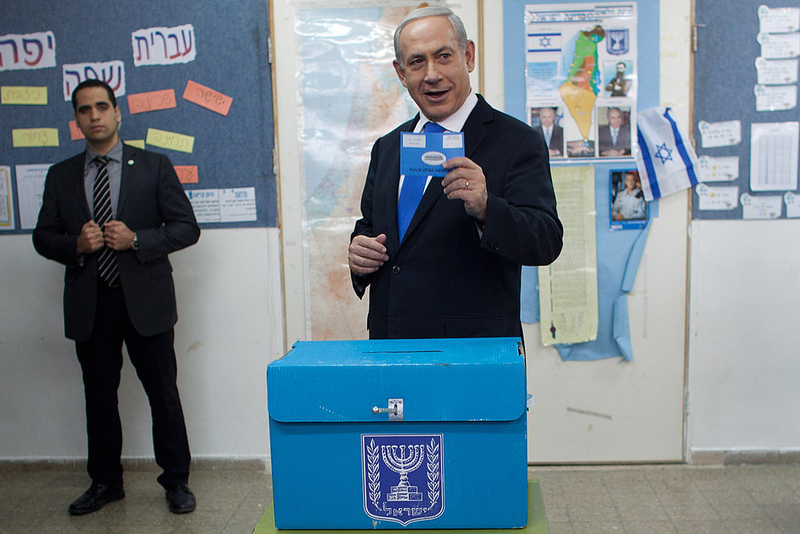 As Benny Gantz declared victory on Tuesday night, exit polls revealed that Prime Minister Benjamin Netanyahu won a best-of-all-possible-worlds victory. Right-wing parties will command a Knesset majority, while the right-wing parties with pretensions of supplanting Likud as the flagship of the right-wing bloc (i.e. New Right and Zehut) failed to cross the electoral threshold as of press time. This enables Netanyahu to build a coalition with Orthodox and other sectoral parties without a stake in the prime minister's political demise. Naftali Bennett bolted the Bayit Yehudi Party in December, reasoning that he could never become prime minister as the chairman of a sectoral party primarily representing Ashkenazi, National Religious voters. To challenge Likud's primacy, not so much in this election but in the next, Bennett founded the New Right on a platform almost indistinguishable from Likud policy. New Right's emphasis on promoting "partnership between religious and secular Israelis" and opposition to Palestinian statehood prompted many to label the party "Likud B." To aggrandize himself at Netanyahu's expense, Bennett often chastised the prime minister for not responding militantly enough to Hamas provocations, and in 2014 enthusiastically supported the proposed "Law for the Advancement and Protection of Written Journalism in Israel." Introduced by then-Labor faction chairman Eitan Cabel, the legislation would have outlawed free newspapers and was targeted at the pro-Netanyahu Israel Hayom, Israel's paper with the largest daily circulation. Then, in 2018, Bennett threatened to topple Netanyahu's government unless given the defense ministry, a ploy that hastened his political oblivion. Moshe Feiglin enjoined members of his Manhigut Yehudit faction to join Likud, hoping that his small cadre of activists could wrest control of the party apparatus and elect him chairman. After losing three primaries to Netanyahu, Feiglin abandoned Likud to found the Zehut Party, a national religious-libertarian mishmash that particularly trumpeted its advocacy of legalizing marijuana. Trying to shed a far-right image dating to his arrest for coordinating mass traffic disruptions to protest the Oslo Accords, Feiglin refused to divulge whom he would recommend President Rivlin invite to form the next government, positioning himself as a centrist between Gantz and Netanyahu. True to form, Feiglin suggested that he might recommend himself for the job. Since Attorney-General Avichai Mandelblit announced his intention to indict the prime minister on one count of bribery and three counts of breach of trust, Netanyahu can ill afford coalition partners relishing his political demise. Therefore, New Right and Zehut's unexpected failure to cross the electoral threshold due to the defection of their putative supporters to other right-wing parties represents a coup for the prime minister. The parties likely to join his government are mainly interested in catering to their respective constituencies (e.g. haredim, West Bank settlers and Russian immigrants) – and many of their leaders, including Shas's Arye Deri and Yisrael Beytenu's Avigdor Liberman, are no strangers to legal scrutiny. Deri previously served 22 months in prison for bribery – and last November, the police recommended that he be indicted on counts of fraud and breach of trust. Likewise, the Israel Police investigated Liberman for fraud, money laundering, breach of trust and witness tampering. Consequently, despite past rhetoric opposing a law giving the premier immunity from prosecution, the parties in Netanyahu's fifth government might be more sympathetic than either New Right or Zehut would have been to parliamentary immunity legislation in exchange for benefits to their constituents, as well as for its own sake. Liberman and Moshe Kahlon, chairman of the Kulanu Party, each at some point entertained replacing Likud as the political heir of Revisionist Zionism. Yisrael Beytenu's influence gradually increased from the late 1990s through 2009, when it won 15 Knesset seats and attracted substantial right-wing support outside of its Russian immigrant base. But Yisrael Beytenu's pan-Israeli appeal has waned in recent elections while its ethnic base has increasingly assimilated, making even crossing the electoral threshold a challenge. When Kahlon, a former Likud MK, formed his Kulanu Party in 2014, he professed to be recreating the Likud of Menachem Begin, which purportedly was more committed to economic egalitarianism and the peace process with the Palestinians than Netanyahu's Likud. On that platform, Kulanu won 10 seats in 2015. However, like Yisrael Beytenu, it barely crossed the electoral threshold in 2019. But, unlike Liberman, Kahlon cannot even count on a dwindling demographic base to sustain his party. Therefore, Netanyahu will likely find Liberman and Kahlon more accommodating than in the past – and his other coalition partners committed to keeping his right-wing government in power. Micah Levinson is a Washington resident fellow at the Middle East Forum.